Augmented Reality technology has proven to be worthwhile in every field then why food and Beverage industry should be left behind. AR is an excellent technology for market penetration and gaining revenues hence fulfilling many companies’ goals for maintaining their distinct identity. AR is providing significant assistance in enhancing users’ experience which is the most important goal of companies. Here we are going to discuss the ways that AR is helping the food and beverage industry. AR is greatly convincing for training and development of the staff. It enables people to ensure food quality and consistency. Training using AR technology assists the companies to save time and budget. Undoubtedly, customer satisfaction is the most important parameter for measuring companies’ performance. The main reason for adopting augmented reality by the companies is to enhance the customer experience. By designing innovative ad campaigns, companies are engaging customer in unprecedented ways. Coca-Cola came up with a Christmas magic campaign in the New York City. The exciting ad campaign attracts users as they could see a hidden Santa and some hidden scenes across branded bus stops in the city. We have witnessed the benefits of augmented reality based innovative ad campaigns. AR is creating magic for the advertising and marketing industry and companies are providing interactive customer experience thus increasing sales. Nestle came up with AR game printed on their cereal boxes for promoting animated movie Rio. 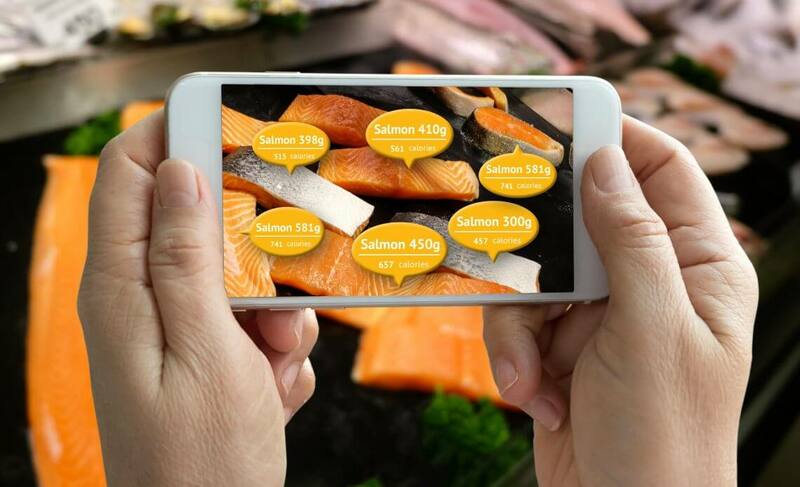 Food and beverage companies are discovering new trends in AR technology for improving the brand image and market penetration. AR is also enormously assisting companies in packaging and quality control as well. Let’s see what more augmented reality has to offer in the coming years.